Philippine Flowers Delivery | Chocolate Assortment basket. 12 items of assorted chocolate brands and flavors. 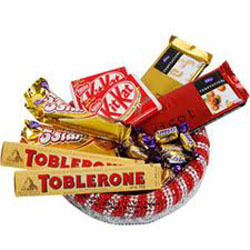 This fine selection of chocolates is contented in a native basket.